We will be offering Wellness classes 1-2x per month on different topics related to Wellness and Chinese Medicine. 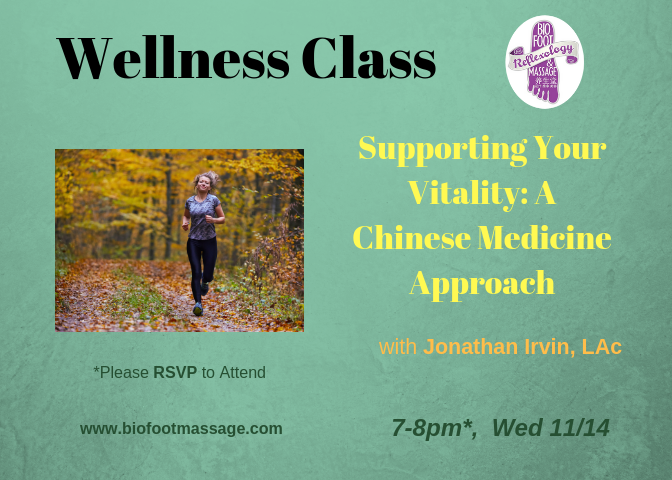 Our classes will be lead by Licensed Acupuncturist, Jonathan Irvin. Pingxiu “Lisa” Leard, LMT, will be offering to share her knowledge and experience in this series of classes on Traditional Chinese Reflexology and Tuina. We may have other Providers share their knowledge in various modalities.